Ambassador David J. 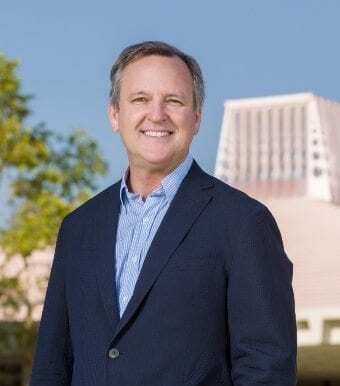 Lane, a senior diplomat who served as the United States Ambassador to the United Nations Agencies in Rome, has been named President of The Annenberg Foundation Trust at Sunnylands, the Board of Trustees announced today. He succeeds Geoffrey Cowan, who served for six years as the inaugural president of Sunnylands. At the U.N. Agencies in Rome, Ambassador Lane guided strategy-setting and governance of six multilateral agencies focused on food security, agricultural development, poverty alleviation, development finance, and rule of law promotion. During his tenure, he aggressively promoted the $3.5 billion “Feed the Future” initiative, a U.S. effort to spur international investment in agriculture and identify long-term solutions to hunger and poverty in developing nations. He helped guide reform of the U.N. Food and Agriculture Organization’s operations and strategy. During his tenure, he traveled extensively in the developing world to raise awareness of humanitarian crises and advocated for policies and investments fostering resilience against future shocks and emergencies. In his role as President of the International Development Law Organization, Ambassador Lane helped successfully advocate for inclusion of a justice and accountable governance provision in the 17 Sustainable Development Goals that U.N. countries recently adopted as their guiding principles for fighting poverty, inequality and climate change through 2030. The goal seeks to ensure equal justice for all, the promotion of law at national and international levels, public access to information and the protection of fundamental freedoms. Before his appointment as Ambassador, he served in the White House as Assistant to the President and Counselor to the Chief of Staff. During the Clinton Administration, he held key appointments including Chief of Staff to the United States Secretary of Commerce and Executive Director of the National Economic Council. Ambassador Lane’s leadership in the non-profit sector includes serving as President and CEO of the ONE Campaign, the non-partisan advocacy organization co-founded by recording artist and activist Bono to fight extreme poverty and preventable diseases. From 2001 – 2007, Ambassador Lane led public policy and advocacy efforts at the Bill & Melinda Gates Foundation, building a powerful East Coast presence for the Seattle-based philanthropic foundation. Raised in Florida, Ambassador Lane holds a bachelor’s degree from the University of Virginia and a master of public affairs from Princeton University’s Woodrow Wilson School of Public and International Affairs. He will maintain offices in both California and Washington, D.C. The Annenberg Foundation Trust at Sunnylands operates The Annenberg Retreat at Sunnylands. Also known as the “Camp David of the West,” The Annenberg Retreat at Sunnylands hosts meetings in Rancho Mirage, California and other locations for leaders to address serious issues facing the nation and the world, including the 2013 summit between President Obama and President Xi of the People’s Republic of China and the 2016 US-ASEAN Leaders summit. In addition, Sunnylands offers programs through Sunnylands Center & Gardens to educate the public about the history of Sunnylands, its architecture, art collections, cultural significance, and sustainable practices. The Annenberg Foundation Trust at Sunnylands is a private 501(c)(3) nonprofit operating foundation established by the late Ambassadors Walter and Leonore Annenberg.